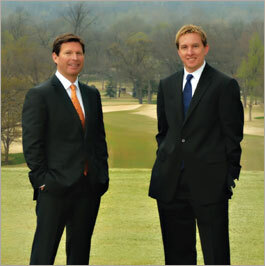 Cofounders and managing directors of Bridgecreek Investment Management, Chuck Fuller and Brian Carney recognized the need for a no-nonsense, research-based, highly personalized investment management firm rooted soundly in Oklahoma, where a handshake is still respected. For a select group of savvy, high-net-worth investors, Fuller’s and Carney’s decision to launch their own local firm—one with direct access to two award-winning portfolio managers—established the convenient, trustworthy investment home these investors had sought. Today, Bridgecreek is celebrating ten years of discretionary relationships with clients who have witnessed outstanding results. As experienced equity and fixed income analysts, Fuller and Carney note that these options include master limited partnerships, real estate investment trusts, and precious metals, among others. Fuller and Carney spend 80 percent of their time in research because they employ other professionals to handle administrative matters. Most of their clients come through word of mouth, meaning that the nonstop marketing and socializing that some firms find necessary are not on their calendars. With $565 million in assets under management, Bridgecreek is now one of the largest independent money managers in the Midwest region.